In our shop, we exchange for two years. It costs parts cost, but I think that it is good to look comprehensively. This review is about item#9916611. It is a replacement of the air filter. The price was cheap and the product was firm. In addition, we purchase for exchange when we got dirty. This review is about item#9915771. This review is about item#46838881. It is an old car model, but there is a stock, and it was saved very much on the day. I think that the quality is also very good compared with the genuine parts. This review is about item#9912567. It was a product that appeared to have the same performance as a genuine product. This review is about item#46838906. It was used for the second time, but it was usable without problems last time. We look forward to hearing from you. It is lighter than Monotaro's original air filter. This review is about item#9916015. It was usable without a genuine article and inferiority. It's just dusty, so cheap is the best. This review is about item#9916566. This review is about item#9915595. I think the price is cheap and there is no inferiority to the genuine product. Expendable supplies are cheap but the best. When did you change? ? I do not remember replacing it from the time of purchase ,? Do you want to buy it? When I opened the box, black, bee and insects lived. I'm sorry. After replacement, the torque is increased as the car is pushed forward. It was good to change. This review is about item#9916401. Compared with other companies' products, it is very profitable and there is no problem with quality. This review is about item#9913321. It is a brand item, the price is also cheap, I do not feel any problems in performance. I want to use it again. This review is about item#9916085. 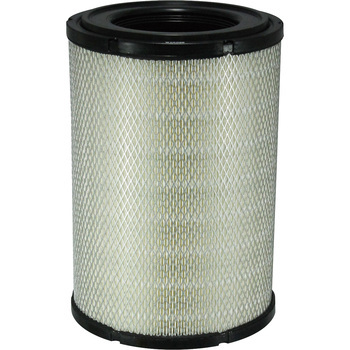 I used it for 4 years, since I have never blown air, a considerable amount of dust has fallen out of the filter, feeling lightened dandruff of the engine after replacement. This review is about item#5821943. It is an air filter that conforms to a car with a 2000 cc high-ace gasoline engine in 2018. At first, I made a mistake by opening the fuse box under the seat, but there was a filter box under the headlight in front of the driver's seat, and I got on the back side of the front right side and replaced it. This review is about item#64614208. Although I exchanged it for the first time in three years, the rise has improved. I think cost performance is a very good product. I compared the removed genuine parts and EXCEL goods with appearance comparison with magmaji but I think that it is a good product that is not inferior at all. The price was half price of the car shop naturally and it was able to reduce cost. I do not think that fuel efficiency will improve as a result of becoming a new product, but I think that it is easy for the engine to become easy. This review is about item#35344592. I am indebted to everyone. Especially it can be used without problems. This review is about item#46838933. Excel is a brand item, and the price is reasonably affordable and it is not a problem. I would like to take advantage of the opportunities again. It was able to be used without problems. Other plans are also planned. I am always saved.